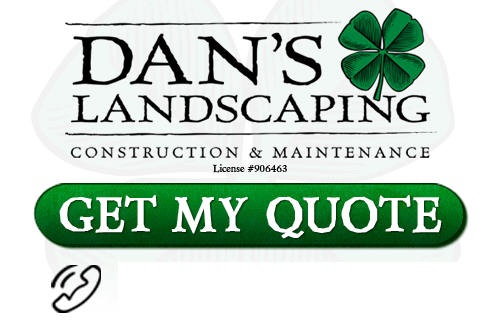 Smart business Owners choose Dan’s Landscaping Company for all their San Luis Obispo Commercial Landscaping needs. Based in Central Coast, we are your landscaping professionals. Our certified team of designers and contractors can transform your property’s exterior into a welcoming landscape that instantly attracts your clients and maximizes your curb appeal. We offer a wide range of services for a complete package that meets all your needs. From initial concept to cleanup, new installation, and lawn finishing, you’ll love the results and your customers will love your new look. See the difference that our San Luis Obispo landscapers can make in your commercial landscape! Let’s face it. In business, image is everything. Your ability to make a first and lasting impress is greater than just your product. You take great care to insure that everything in your business’ interior is exactly what you want your clients to see and feel as soon as they walk through the door. So why take advantage of the lasting effect that your San Luis Obispo Commercial Landscaping can have? It’s the first thing they notice when they get out of the car. Not all businesses are alike, so it’s important to custom design a landscape that reinforces what it is your company is all about. Let the professionals at Dan’s Landscaping Company see your vision come to life with brand new colorful florals, thick green grass, and a variety of fresh vegetation. We understand how important it is that you keep a professional image. We work hard and get your landscape project done right the first time so that you look good! 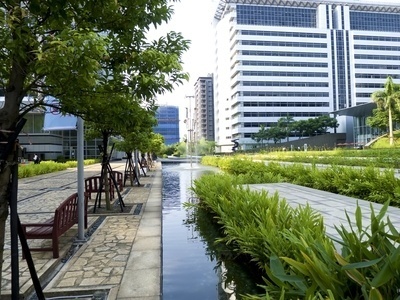 Even in the toughest seasons, you want your commercial landscape to look its best. Routine maintenance is time consuming and costly. You don’t have time to think about yard work when you’re running a successful business. We save you time and money with our year round detailed lawn care. Dan’s Landscaping Company contractors keep careful records of all yard activity. We take soil samples, and learn your property’s specific needs in order to carry it through the entire year. We plant vegetation that grows in each season, keep your landscape clean, and give experienced advice on how you can protect your plants from harmful diseases and pests. Contact us today for a full range of year round services we provide. Need an added touch to your commercial landscape? We recommend hardscaping. You can choose from any number of our products and services that are right for you. We provide everything from functional pathways and sidewalks to retaining and seating walls. What about a patio for your restaurant or boutique? Our patios are fully customizable and come in a broad range of tones, designs, and materials. We can add a fire pit and water features to your patio to create the ideal outside experience for your customers. We use only industry leading products and provide the highest quality customer service in order to guarantee your total satisfaction. Contact us today and let us help you turn your ideas into a reality! If you are looking for professional San Luis Obispo Commercial Landscaping then contact Dan’s Landscaping Company at 805-550-5488 or complete our online request form.